This is part 2 of a two-part guest blog post by by Elizabeth McAuley-Italiano of WnTD Partners. You can read the first post here. So now that we’ve gone through the importance of onboarding and described approaches on how to scale it across your customer base, let’s review some best practices you can put in place and how you can leverage each engagement method to help improve your customer’s onboarding experience. This will ultimately help to increase their value to your business over time. Create a prescriptive setup and implementation process. When designing an onboarding program that will help your customer get started on the right path to be successful long-term, determine what the exact steps are that your customers need to take in order to ‘go live’ and realize time-to-value as quickly as possible with your product. Be prescriptive about what steps and actions need to be completed. Once you have those steps outlined, put them in a customer facing format and share with all of the appropriate stakeholders within your customer’s organization that are involved in the onboarding process. High Touch – Create pre-defined onboarding calls and training sessions that are designed to get your customers set up and using the product properly. These sessions should all move the needle towards getting your client to the first time to value. Provide setup assistance and training sessions on your platform that includes best practice tips. Educating the customer on both product and industry best practices can set them up for long-term success and sets the tone for your CS organization to be seen as a true partner and not just a point of contact. When creating your onboarding program ensure that your training is conducted in a way that empowers the customer to use the product themselves. Make sure they are hands on. You want to avoid scenarios where the CSM does all of the work for your clients as this is not scalable across all high touch clients. Empower your customers to take ownership. Low Touch – This can be a combination of tech touches and 1:1 interaction. Educational material and tech touches can augment and bridge the gap between less frequency proactive 1:1 communication. For example, provide helpful onboarding collateral such as a ‘Getting Started’ kit that provides the customer with a comprehensive map of how to set up and use your product successfully. Provide content in easily digestible chunks that provide the right level of information for each stage of setup and learning. At the point of purchase, it’s also important to inform your customers of all available resources and provide clarity on what resources to use and when. For example, when and how to contact Support vs the Customer Success Management team. I’ll add a caveat to this approach – how low touch you go depends on the complexity of your product and on your customer base. We highly recommend reviewing your customer segmentation and requirements before deploying this model. Consider the Required Customer Journey your customers need in order to be successful. Tech Touch – Contextual guides and in-app tutorials are arguably the most effective approach. Contextual guides allow your customers to learn your platform, with the help of educational content, without having to leave your product. As the name contextual guide implies, it educates your customer based on the context of where they are in your platform and what actions they are taking. For example, if they are setting up their account information, then a contextual guide may direct them to add the correct user permissions for each account user so the customer group has the appropriate access and experience. Again, as with low touch, the complexity of your product may have an implication on how far contextual guides and in-app tutorials will take a user and of how prescriptive you can be in a tech touch. Ultimately, it’s best practice to have a user friendly design but if that is not the case and if it will take some time to become more user friendly then it’s important to consider how much tech touch is appropriate. If you do not have the resources to implement contextual guides an alternative is an automated email journey. There are two popular approaches to this method. One, is triggering emails based on product usage (or lack there of) or secondly, triggering emails based on a time frame. In approach number one create a series of emails that get triggered to customers based on what stage they are at in their product setup and onboarding journey. Alternatively, you can create them based on certain days within their onboarding journey if you are unable to tigger emails from product usage. For example, day one could be a welcome email with instructions on how to login and change their settings, day 3 could be how to import data, and so on. This approach does make some bold assumptions that each user will onboard at the same pace. In order to avoid frustration with this approach, include a full onboarding guide (such as the Getting Started Guide mentioned above) with your welcome email so users can go at their own pace if that is their preference. Establish milestones that you know the customer must achieve in order to be successful. The prescriptive steps mentioned above should lead customers to these milestones. For example, if you are setting up a CRM an important milestone in your onboarding journey would be adding customer data. Assuming part of the setup process is uploading data via a spreadsheet then one of the prescriptive steps could be: ‘Format the data in <this> specific format as it will allow for cleaner data once uploaded.’ This leads to the milestone of having all data imported and ready to use in the CRM. Once you’ve established what your first time to value is you have to ensure your customer realizes that value. Your prescriptive steps should lead to milestones and your milestones should result in your customer achieving their first point of value. High Touch – Have your CSM setup regular calls with the customer. During the onboarding stage we’d recommend weekly or bi-weekly calls, but as mentioned above, this depends on your coverage model and complexity of your product. But it’s not enough to simply set up calls. Create agendas centred around milestones that lead to first time to value. Work with your customers to establish measurable goals then create timelines and additional milestones as required. Clearly align outcomes from your solution with their goals. This is a very proactive approach that requires CSMs to act as an advisor to their customers. Low Touch – The low touch approach is best done with some human interaction. Low touch doesn’t equate to no human touch. Calls in a low touch model can be done on a monthly or quarterly basis. However, with calls scheduled this far apart you need to supplement their onboarding journey by leveraging technology. One example is implementing product usage alerts that get sent to CSMs that inform the team of low usage or inactive users. This can be set up through your software or through a CSM platform. If the CSM receives an alert or notices product usage is low, this is their queue to jump in and intervene. This is more of a reactive approach when customers fall off track in their onboarding and are not following the prescribed steps and best practices as outlined in your quick start guide and educational content but can help get a customer back on track and prevent churn. Other tactics are to create campaigns through email or messaging platforms that get sent out via automation in a 1:Many fashion. You can have these emails come from a CSM so it appears 1:1. And to be honest, there are some that would argue that this is too impersonal. However, when a customer responds to a 1:Many reach out it truly does become 1:1. It’s making the most out of your time when sending relevant information by leveraging technology rather than repeating a task over and over again. This leaves more time for meaningful conversations that will have a big impact and drive value. Think of it this way, the 1:Many communication can be to inform and guide customers. The 1:1 communication time is dedicated to conversations that put CSMs in the advisor seat where they are providing product and industry best practices, helping to establish goals and answering more complex questions. These platforms and methods can also be leveraged to educate customers on recommended goals, milestones and how to track them. You can create webinars for customers to attend, provide YouTube training sessions or even create a user community and facilitate discussions amongst a group of customers. 1:1 interactions can then be used to dive into topics more deeply as the concepts and ideas have already been introduced. Tech Touch – The low touch model described above already started to introduce some ideas for tech touch so let’s look at a few requirements for implementing tech touch. One requirement is that you must have the appropriate and relevant content to serve up to your customers. It has to provide some value to them and lead them down a prescriptive path to milestones. Your content should have three main objectives. Educate customers with prescriptive content on the exact steps and actions they should be taking. The content should be detailed enough for the customers to self serve but not so detailed that it becomes overwhelming and scares them off. The Getting Started Guide is one example of how to provide this, as it’s essentially a map from step one of ‘sign in’ to the final step of implementation and achieving value. Provides milestones and goals they should be looking to achieve. It helps clients to visualize their progress towards realizing value. Promote product adoption so the customer becomes ‘sticky’. You also have to have the necessary tools in place for tech touches, such as a chat system, in-app messaging, a customer success platform, and/or email automation. Chat and automated in-app messages and tutorials provide flexibility in how you connect to customers. Customer Success platforms can provide the ability to trigger messages and alerts based on product usage, and an email automation platform allows you to send html marketing campaigns or 1:Many plain text campaigns from a specific CSM. With the right tools and content in place your organization can create a very effective and helpful tech touch model. If these approaches sound familiar, they should as they were discussed above. While you do want the engagement model to differ depending on customer segments and their Required Customer Journey, you want the outcome to remain the same, which is successful product adoption. I felt this was a point worth repeating to confirm it’s importance in each approach. Live Training Sessions that both trialing prospects and customers can sign up to and attend together. Customer community that is monitored by a Customer Success Manager or Support team member. High Touch – For your high touch customers the training resources are often a supplement to your 1:1 communications. We recommend it as being part of your overall customer engagement framework. Low Touch – When engaging with your low touch customers, your 1:1 interaction is often providing the most appropriate training resources for that customer. It’s about enabling them to be successful with your product by putting them on an easy to follow path with the resources that best suits their needs. These resource can in some cases allow a CSM to have a larger customer portfolio as customers are provided the necessary tools to self onboard. It also gives the CSM capacity to not only manage more complex customer questions but also to operate in a more proactive nature. Eventually (and ideally) your content and onboarding process should be so fine tuned that you are answering common customer questions, before they even have them. This is when you proactively enable your customers at scale. Tech Touch – The above customer education list is your tech touch strategy. Through 1:Many reach outs and the tools listed above, your organization can provide customers with all of the tools and content required for a successful setup and achievement of first time to value with your product. In order to put these best practices in place you need to have a solid understanding of your customer base. Complete a customer firmographic analysis and you will be well positioned to create an onboarding process that incorporates high, low and tech touches. Not sure where to start? Or questions on implementing this model? Comment below or contact us and let us help. 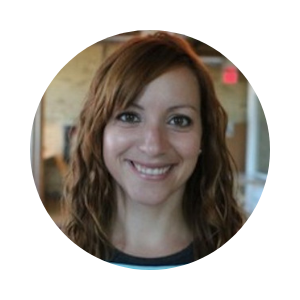 Elizabeth Italiano is the Founder of WnTD and the creator of the Customer Success Master Class Series. Previous to starting WnTD she worked for organizations such as Xerox, Salesforce and Vend POS. Her career and passion for Customer Success began 10 years ago. Elizabeth’s expertise encompasses creating and implementing Customer Success strategies that start at the go-to-market strategy, through to renewal and expansion sales. She helps organizations increase revenue, reduce churn and decrease the cost to serve. The combination of her experience and passion for CS allows her to help create customer-centric cultures that scale across the entire business. She is a firm believer that Customer Success is a business imperative that’s quickly becoming one of the most important business disciplines to master, which is why she created the Customer Success Master Class and WnTD. A guest post by Elizabeth McAuley-Italiano of WnTD Partners. Building your organization for scale is one of the most critical factors in the long-term success and overall health of a business, particularly for SaaS businesses. One area that we are most commonly asked about at WnTD is how to scale the customer onboarding process. Customers are often won over or lost in the first 90 days of their post-sale journey. It’s a crucial step to get right and it can have a massive impact on your customer’s success and your organization’s bottom line. They are more likely to spend additional money with your company by adding users or upgrading their license. At the very least they are more likely to renew. They require less ongoing support over the long term. They start using your product correctly and effectively right out of the gate. These two benefits will improve your revenue and your cost to serve. I’d like to dive a little deeper into one of the points made above. I talked about customers ‘realizing value from their purchase’. CS professionals often call this, the first time to value. This is a critical component to think about in your onboarding journey. You want to have deliberate steps that will get your customers to not only use your product but use it to the point of achieving value. Your organization should be asking what is the Required Customer Journey that will get our customers to realize their first time to value? This is the first step towards successful product adoption and creating a pattern of usage. CS professionals often talk about making customers ‘sticky’ in order to reduce the potential of churn. However, expecting customers to move towards becoming sticky without a solid onboarding process is kind of like expecting to steer a rowboat without paddles. You are at the mercy of external factors and that’s not a good place to be. Ok, so we now know that onboarding and achieving first time to value is important … But you may be asking yourself ‘how do you scale this thing!?’. Glad you asked! Let’s dive into how. High Touch is a 1:1 engagement model and is generally aligned with your high-value target market customers that require frequent 1:1 proactive communication. These are the customers you want to establish a partner and advisor relationship with. An example, of when this is the Required Customer Journey is when you have a client with a large user base, integrations that make setup and onboarding more complex, and numerous use cases. Low(er) touch is typically for customers that represent a large volume of your customer base, but with relatively lower contract amounts. Individually these clients are a small portion of revenue but cumulatively make up a material portion of your monthly or annual recurring revenue (MRR/ARR). Low touch is where the designing process for scale is most critical. It is a combination of proactive tech touches (often referred to as 1:Many reach outs) with less frequent 1:1 communication with a CSM. Tech touch is leveraging technology to communicate to large groups of your customers with a 1:Many process. For example, this can be done through campaigns to inform of a new product feature, or by emails that are pre-written and triggered to send to customers based on product usage, or webinars put on by a CS team member for a group of customers. It is used in a combination of scenarios, which we get into in more detail in our best practices below, but for now suffice it to say it’s a 1:Many customer outreach model that helps you scale across a broad customer base. It is also particularly important for customers that are not within your ideal product-market fit. It allows you and your CSMs to focus time and attention on your customers that are within your target market fit that can be successful with your solution over the long term. You should be selling to the right customers anyway, but we’ll leave that topic for another day. It’s important to note that low touch and 1:Many engagement models and methods are not for the purpose of avoiding speaking to customers. If time was not a finite resource we could offer the same level of 1:1 communication to all customers, however, that is not the reality. That’s why it’s so critical to evaluate each customer segments’ Required Customer Journey and provide an engagement framework that is a variety of high, low and tech touch methods that have the explicit purpose of helping customers achieve first time to value and product adoption. Want to learn more about WnTD Partner’s recommended Onboarding Best Practices? Tune in next week for Part 2 of this blog series! The TaskRay team is beyond excited to announce our participation in the Salesforce Accelerate program this week. We’re joining ten other Salesforce partners in the program’s fifth session, which kicked off on March 26, 2019. For the next three months, our team will be working closely with our partners at Salesforce and our advisor to create strategic alignment in sales, marketing, product management, product marketing, and business development—all directed at better supporting our product and customers. As a Salesforce ISV partner, we relish opportunities like this to dive into product and process improvement across our entire company and can’t wait for what the next three months holds! We’re particularly excited to work with our advisor in the Accelerate program, Cary Fulbright, a cloud industry veteran with a venerable track record in the Salesforce ecosystem. Our team is on the ground this week in San Francisco diving into our first series of programming. Blakely Graham, Jon Barlow, Mike Davis, and Will Egolf all hard at work at the Salesforce Tower, San Francisco. “We look forward to learning from our peer companies, Salesforce team, and our mentor as we propel towards our goals in 2019,” said TaskRay VP of Sales and Customer Success, Mike Davis. A guest post by Donna Weber, President of Springboard Solutions and Principal of KickStart Alliance. Last month I attended a customer success meet-up in Palo Alto, Calif. At the event, there was a lot of discussion about how to “make customers happy.” I left thinking, “Do we really want happy customers?” While happy customers sound like a nice idea, engaged customers are more important to your success. According to Merriam-Webster, happy means “enjoying or characterized by well-being and contentment.” Wouldn’t it be fabulous to create a killer product, deliver it to customers, and then everyone feels happy? The assumption is that happy customers result in all sorts of good outcomes, such as easy implementations, reduced support tickets, and of course less churn. The happy customer theory appeals because it should make your life easier, and that you can be happy as well. There is a happiness craze, illustrated by the 23,000 books available on Amazon in the 'self-help' genre on the subject of happiness. While the focus of these books is primarily personal happiness, the craze highlights the elusive pursuit of contentedness and well-being in our culture. Yet, aiming for happy customers sets you up for failure. This is because ongoing customer happiness is unattainable and unsustainable. The definition of engaged is "involved in activity," which is exactly where to focus your efforts. Engaged customers are more successful than happy customers. This is because they attend Webinars and take training. Engaged customers meet their Customer Success Managers (CSMs) regularly. Engaged customers log support tickets because they actually use your product. Engaged customers also complain and challenge you. This is important, because they want you and your product to be better, so they can be better as well. When I built a CSM program at a company, I reached out to customers to listen to their needs. One of the sales reps told me, “Don’t ask customers that they think, you’ll just open a can of worms.” He was right, but the “can of worms” is customer engagement. Happiness studies reveal that when negative events happen to you, immediate happiness decreases. Yet, despite this decrease, there is an increase in the amount of meaning in your life. This means that negative feedback and stressful interactions are necessary because difficulties and obstacles keep you striving to improve. So, how does this relate to customer success? Those complaining customers are actually good for you. They are engaged, and they challenge you to be better. While happy customers leave you alone, they don’t grow with you. They might be nice and friendly, but they don’t push you to innovate. An internal champion might cheer for you, but they don’t demonstrate the huge impact you have on their success. You get engaged customers through two methods: design thinking and an orchestrated onboarding journey. Design thinking. Don’t use hope as a strategy to engage customers, instead, leverage design thinking. Design thinking simply means listening to your customers. Find out what they want and need before you build customer-facing programs and services. Find out what their desired business outcomes are so you can partner to reach them. It is especially valuable to learn from your successful, green accounts. Explore what’s unique about how they implement and use your product. Then, share these best practices with all your customers. Orchestrated Onboarding. You can’t afford to expect customers to figure your product out on their own. While you might think you want happy customers who leave you alone in those first 90 days, you are wrong. Without guiding and involving customers through a successful onboarding, you might find renewal likelihood dropping to as low as 10%. It’s critical to connect with new customers immediately. Start the relationship right with a handoff call, then guide customers along an orchestrated onboarding journey, which includes milestones, timelines and deliverables to reach in the first 90 days, and to keep your customers accountable. Stop striving for happy customers. Your harshest critics might actually be your most engaged and loyal customers – and far more valuable than your happiest ones – so dive into those challenging relationships. Partner with customers to innovate and to grow, and leverage challenging encounters to make you both better. Proactively engaging customers with design thinking and an orchestrated onboarding journey leads to both of your success. Engagement is the sign of a true relationship, and relationships are the key to customer success. Donna Weber, President of Springboard Solutions and Principal of KickStart Alliance specializes in the post-sales Customer Success journey. With over 20 years of experience, she has a proven track record helping hi-tech firms create customers for life with customer onboarding, enablement, and education programs. Her clients range from startups to well-established large companies, with a focus on the open source and SaaS arena. Colleagues know Donna as a leader who makes a difference. When she’s not springboarding customers to success, you might find her white water kayaking the rivers of California and beyond. This year's campaign for International Women's Day is #BalanceforBetter, which acknowledges that a gender-balanced world is a better world. Balance drives a better working world. At TaskRay, we are proud to have a female founder and CEO. We are also proud to have a team made up of 50% women and 50% men—all of whom work hard to support each other’s success. In the last year, the women of TaskRay took the main stage at Dreamforce 2018, Pulse Europe 2018, and a number of other high profile events. These stage presences were nerve-racking, challenging, exhilarating, and illustrative of the shift towards better representation for women across the tech world. Outside of the TaskRay walls, we’re excited to now see female CEOs of major corporations like Pepsi Co. (Indra Nooyi), Lockheed Martin (Marillyn Hewson), and ORACLE (Safra Catz), among others. We’re happy to see more women serving on corporate boards, and to now have 121 women serving in the 116th Congress. We’re also proud sponsors and attendees of the Witness Success events and emphatically support the women who are driving change across our industry. We applaud the strong women around the world today as they take on leadership roles from which they were previously excluded. We also applaud the quiet bravery of women who take on the roles that aren’t broadcasted on the news—the colleagues who challenge our thinking, support our customers, and push us to do better work each day. The theme of #BalanceForBetter is true everyday at TaskRay as we celebrate and support every member of our team—regardless of gender—because we know it takes a village to build anything worthwhile. So today we say a huge THANK YOU to the women in our workplace, to our customers, friends, families, and all those working towards creating a better and more balanced working world. We can’t wait to see what 2019 holds. This week, TaskRay co-founder and CEO, Blakely Graham and VP of Sales and Customer Success, Mike Davis, attended the SaaStr 2019 conference in San Jose, California. They brought us back these notes. As tough as this one can be for sales teams to swallow, research tells us (and the world of SaaStr agrees) that retaining customers and supporting their success is less expensive than acquiring new ones. We noticed (and appreciated!) that conversations about “scaling” are now focused on customer success and not just the sales funnel alone. In fact, we tend to believe that sales might just be the foreword in the customer success playbook. Because if our customers aren’t finding the success we promised, nobody wins. Inclusivity is making strides in the tech world and the positive impacts are apparent. At the inaugural SaaStr 2015, Leyla Seka (EVP of Mobile at Salesforce) was the only female speaker. At SaaStr 2019, the speaker lineup represented a significantly more diverse set of perspectives. She challenged us to think about how to present a new feature or product before we even start building it. Who will this feature impact? How will our customers derive value from it? And what will the FAQs be? This level of clarity isn’t often available until well after new features are released, but thinking about the impact this thought process could have is exciting! Connection has been one of our founding principles since day one and it remains a critical part of our TaskRay DNA. Connecting with our customers is key to understanding their needs, challenges and helping to map new solutions. Its exciting to see the SaaS world pick up on the oft forgotten part of customer journey—deriving long term value from the service! We met so many great leaders and new voices at SaaStr 2019 and can’t wait to bring the lessons we learned to life with our own team and customers. As soon as the deal closes, your customers start groping in the dark. They dive into the technical weeds of implementing your product and end up lost down a dark alley. Seeking refuge, they desperately log support tickets, which your support team frantically tries to resolve, all because customers don’t know which direction to point. They shouldn’t be down that dark alley in the first place. Avoid those dark alleys with quick wins. Quick wins are an important element of an orchestrated onboarding program. They start customers down a well-lit road and provide benefits for both customers and customer facing teams. With quick wins you rapidly guide customers to value in your product, even when the product isn’t fully implemented. When you chunk the implementation process into achievable components, you have a quick win. ServiceSource emphasizes that speed is of utmost importance during this time. This is because when customers don't see results in the first 90 days, and especially the first 30 days, their renewal likelihood drops to as low as 10%. So, what happens when your product takes longer than 30 or even 90 days to set up? I had exactly that challenge at a previous company. The product, a complex analytic tool embedded into customers’ software, took six, nine, even 12 months to implement. How are you supposed to have a renewal discussion when the software isn’t even implemented yet? The answer: quick wins. Quick wins include clear deliverables to keep customers on track during the onboarding and implementation journeys. This means less wandering down dark alleys. When I shared this concept with a company I work with, they announced, “This is great. We’ll get customers to log in for our quick win.” Logging into your product is not a quick win. I learned from Mikael Blaisdell at SuccessCon West, that customers buy software for these three reasons: one, to save money; two, to make more money; and three, to align with regulations. So, while your product is likely incredible, I doubt customers save or make money just by logging in. Instead think about their use cases and goals. Reports and dashboards often provide immediate value, helping users make better business decisions; and automated workflows save time and money. When do quick wins occur? Insert quick wins into the orchestrated onboarding journey. They belong after you nail the handoffs and before the implementation begins. I usually like to discuss quick wins during the kickoff or onboarding meeting. Review the options with customers and determine together which is most appropriate to work towards. Rather than randomly picking an achievement, like navigating your product, listen to what’s important to customers. Find out the milestones and results they want and need in those first 10, 30, 60, and 90 days. You might provide a menu of quick wins that align with each customer segment or to unique use cases. You might have several quick wins along the implementation process, especially if it’s a long one. Your quick wins can also align with 10, 30, 60, and 90 day milestones. Rather than randomly picking an achievement, like navigating your product, listen to what’s important to customers. Start with one quick win and pilot it with a small group of new customers. Find out from them what worked and what needs to improve, then create assets and playbooks to make that approach as scalable as possible. Next, develop other quick wins, building on what you learned from the first one. Once you define quick wins, then work with Customer Education and Support teams to produce self-paced and instructor led content to guide customers to their quick wins. Now you have a solution that has impact. To illustrate, here are a few examples. A company I talked to works with large property managers to build workflows for cleaning and renting their properties. Loading properties into the software can be time consuming and difficult. Rather than waiting for a customer to load all their properties into the system, I suggest they create a quick win to add one property into the system. To facilitate this process, create quick-start guides and self-paced training to bring customers to a successful result without Customer Success Managers (CSMs) holding their hands. This means CSMs stay in the strategic zone. Once the first property is loaded, the CSM and customer review it together and determine the next milestone to aim for. Another example is from working with my client that thought logging in was a quick win. We determined that not just reports, but automated alerts generated from reports, would provide the most benefit quickly; that became the first quick win. And finally, at my previous company, since the implementation was a long process, setting up a demo environment to highlight key functionalities that were most valuable to the customer's project was our first quick win. Quick wins benefit both customers and the teams supporting them. Customer implementation teams get to show off their progress to internal teams and to stakeholders. This means they look good and celebrate successes along the way. Quick wins give them immediate satisfaction for buying your product which means their loyalty increases. You gain by keeping customers accountable, staying strategic, and avoiding unnecessary support tickets. Quick wins are especially helpful when onboarding and implementations are long or complex. They break things down into achievable nuggets for teams to celebrate along the journey. What’s one quick win you can explore with customers this week? When customers feel accomplished right away in your product, you are on a well-lit road to customer loyalty and success. Post-sale momentum, what is it good for? What really happens after you close…and why does it matter? What are we’re jazzed about in 2019?? We’re sharing our top three takeaways from our trip to London for the Pulse Europe 2018 conference. Want to learn more about building a first-class customer onboarding experience? Check out our latest eBook - get your copy today. Like zombies that come out on a full moon, bad customer onboarding experiences will inevitably come back to haunt you. New eBook: Do you know the three biggest mistakes in customer onboarding? We recently published an eBook — The Three Biggest Mistakes In Customer Onboarding And How To Avoid Them — to address the challenge many companies face when it comes to building a successful onboarding process. TaskRay is a great tool for building successful agile development process. Learn more about how it works with our latest webinar wrap up. How to get more done in 2018. Yay! It’s time for new year’s resolutions. But, according to US News, 80% of resolutions fail. At TaskRay, we think that keeping resolutions and reaching goals just involves a little, well, project management.